Here's a practical guide of short prayer starters that will help readers pray confidently while living through breast cancer. It's an encouraging resource for patients and their loved ones alike. 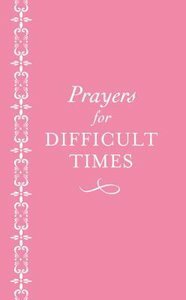 About "Prayers For Difficult Times: Breast Cancer Edition"